Ann Hercus became New Zealand’s first Minister for Women’s Affairs following the election of the fourth Labour government. She was also appointed Minister for Social Welfare and Minister for Police, becoming the first woman to hold the Police portfolio. Hercus was tasked with establishing the Ministry for Women’s Affairs as a standalone department at a time when there was opposition to the development of an independent agency focusing on women’s issues. Hercus is credited with using her leadership and standing within the parliamentary system to advance women’s interests. She contributed to a number of policy achievements that benefited New Zealand women including provision for part-time employment in the public service and schools; changes to sexual violence legislation and increased funding for women’s refuge centres; the advancement of child protection and parental leave legislation; and an increase in recognition for unpaid women workers. 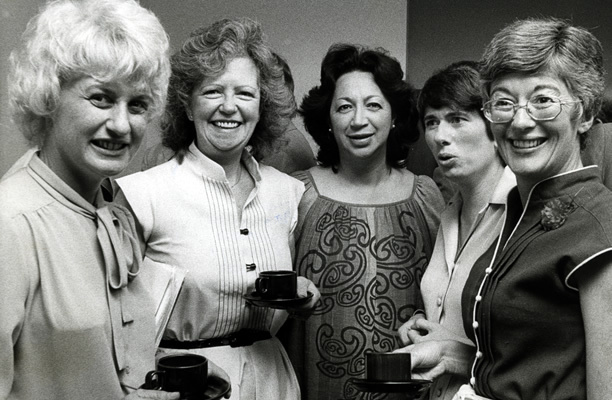 Hercus was Minister for Women from 26 July 1984 to 24 August 1987. She later served as New Zealand's permanent representative to the UN (1988-90) and as Head of Mission for UN Forces in Cyprus (1998-99). In the 1988 New Year’s Honours, she was appointed Dame Commander of the Order of St Michael and St George for her public services. We have 26 biographies, 6 articles, related to Ann Hercus becomes first Minister of Women's Affairs.